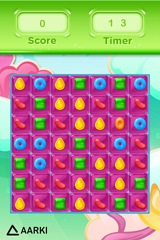 Aarki today announces its new app marketing solution line for casual game mobile apps. The company is already a leading provider of mobile app marketing to casual match-3, casino, and casual simulation game developers. With the launch of this solution line, Aarki has combined its deep domain expertise and rich data to offer a unique solution to this vertical. Being in a competitive mobile app vertical, user retention and return on investment are critical for most casual game developers. Just in the recent past, Aarki has provided app marketing to hundreds of casual game developers including marquee names such as GSN, Huuuge, King, Playstudios, and Product Madness. Aarki’s in-house designers have leveraged their vertical-specific expertise to create ads in a variety of formats, including playable, video, native, and interstitial. The company has also utilized multivariate testing to perform dynamic creative optimization on these campaigns. These efforts have resulted in phenomenal performance across all these campaigns. On a recent campaign for a leading casino game app, for example, Aarki was able to rapidly exceed client expectations by delivering over 60% day 7 return on investment (ROI). It leveraged proprietary Bayesian machine learning and multivariate creative testing technologies to dynamically select the best performing creative variants and conduct real-time bidding to maximize the client’s retention rate and return on investment. With the launch of this new solution line, the company expects to further consolidate its position in the casual and casino game space. Aarki is transforming mobile app marketing through unified optimization of creative and media. It delivers superior results using proprietary machine learning technology for performance optimization. The company's customer base includes leading brands, agencies, and app developers. Headquartered in Mountain View, California, Aarki is a global company with offices in Beijing, London, Manila, Tokyo, and Yerevan. For more information, please visit http://www.aarki.com or follow us on Twitter: @aarkimobile.